Queensland Museum’s Anzac Legacy Gallery is a new permanent exhibition which opened on 10 November 2018 to coincide with the Centenary of the Armistice. The exhibition explores the First World War and its legacy in Queensland. 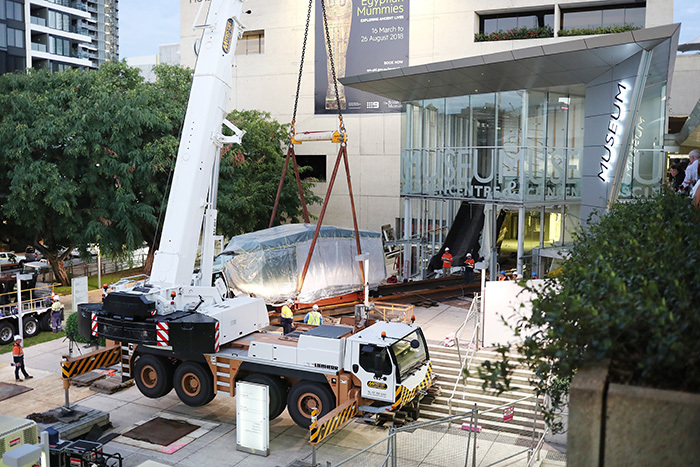 The Gallery also provides a permanent home for Mephisto, the only surviving example of a German A7V Sturmpanzerwagen tank in the world, a Queensland Museum icon. See below for more information on Mephisto. The Gallery can be summarised through three major thematic areas: Queensland at War, The Story of Mephisto and Queensland Remembers. These themes are used as a focal point to move between gallery spaces and link content and stories. Queensland at War focuses on the battle front and at home, and Queensland Remembers explores the long-term legacies of the First World War. The Gallery features more than 500 significant objects and 200 stories. These objects and personal stories rest at the heart of the gallery, allowing visitors to connect with the stories through emotion, connection and exploration. listening stations and digital visualisations with immersive and directional sound and stories which provide a voice to Diggers’ past. a digital memorial poppy wall encouraging visitors to leave a message of remembrance for service men and women. As the world marks a century since the end of the First World War, the Anzac Legacy Gallery aims to make a vivid connection between aspects of life in Queensland today and the events and activities of the First World War for Queenslanders. Set among a contemporary and engaging gallery experience and positioning the content in an uninhibited context, the Anzac Legacy Gallery allows the objects to resonate and communicate to visitors without pretext. This project is a joint initiative between the Queensland Government and the Anzac Centenary Public Fund. Recovered by Queensland soldiers in July 1918 near the French town of Villers-Bretonneux, Mephisto is the last remaining First World War A7V Sturmpanzerwagen German tank in the world. 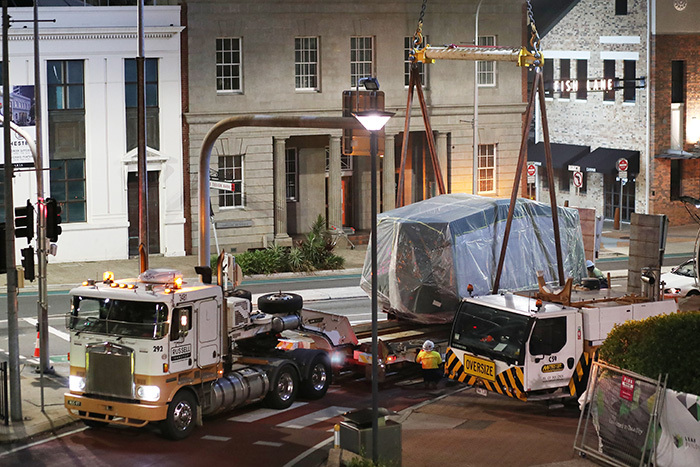 Mephisto spent much of the Anzac Centenary on loan to the Australian War Memorial, where it underwent conservation work and, until April 2017, was on display in Anzac Hall. The tank returned to Queensland in June 2017 and was displayed at The Workshops Rail Museum, Ipswich. 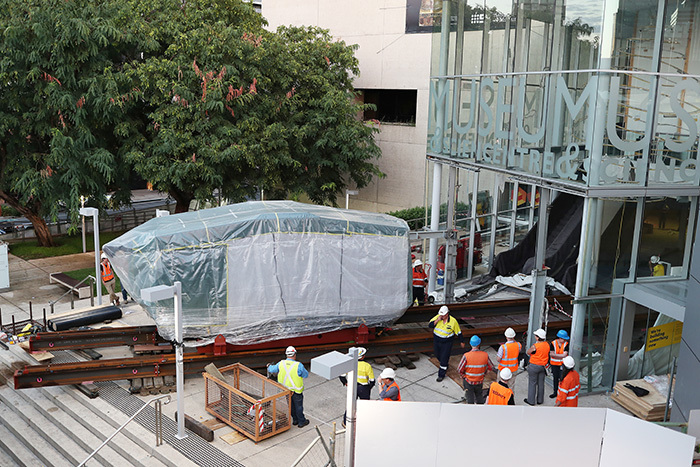 Then in February 2018, Mephisto made the return journey to the Queensland Museum where it is now on permanent display in the new Anzac Legacy Gallery. A German Tank captured by Australian soldiers on the Western Front in 1918, has gone on display at the Australian War Memorial. 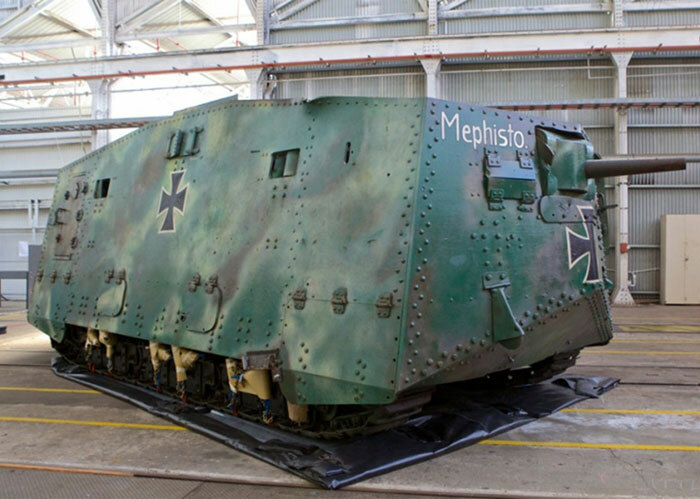 Named Mephisto by its crew, it’s the last surviving German A7V tank, out of 20 that were built. Its permanent home is the Queensland Museum, but it’s on loan to the Memorial for World War One centenary commemorations.